Shirts With Random Triangles: Saturday Fallout: Joel Stave, Joey Bosa, Texas A&M, and more. Saturday Fallout: Joel Stave, Joey Bosa, Texas A&M, and more. 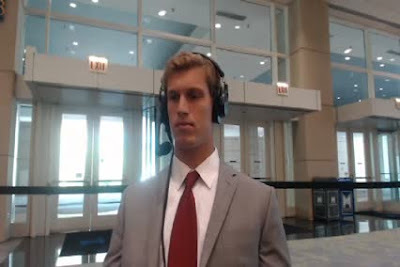 Joel Stave. Image via Omaha.com. Graham Watson previews Wisconsin's 2015 college football season, which includes a declaration of Badger starting quarterback Joel Stave a "breakout player." The Ghost at Number One? The Most Interesting Game in the World? It is time for you to stop all of your sobbing. Off Tackle Empire's annual "Wisconsin Potluck" and round table discussion skips the obvious cheese-themes recipes, and instead goes for the other food the Badger state is famous for - sausage.